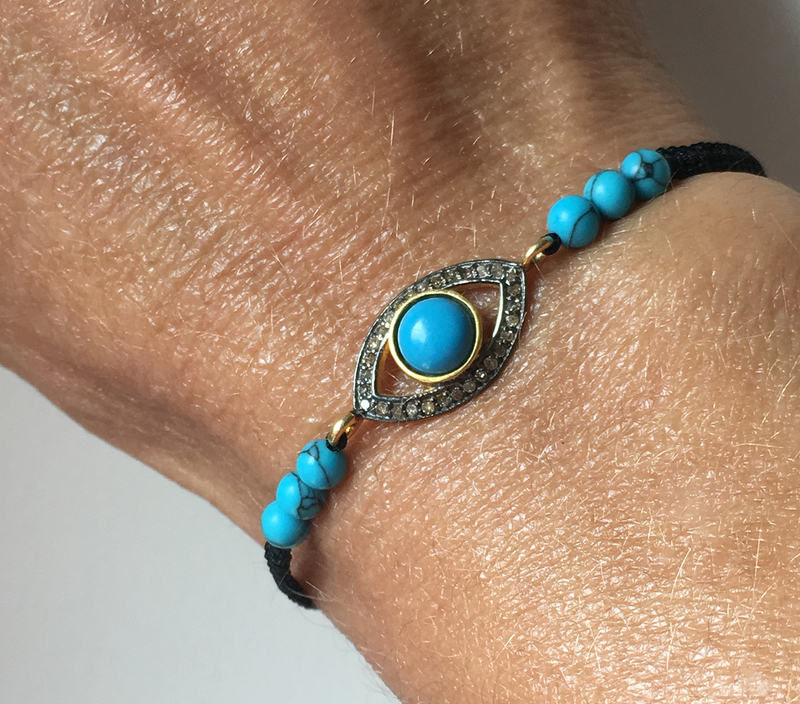 Genuine Natural Pave Diamond Evil Eye with genuine Turquoise, 24K Gold Vermeil over Sterling Silver. 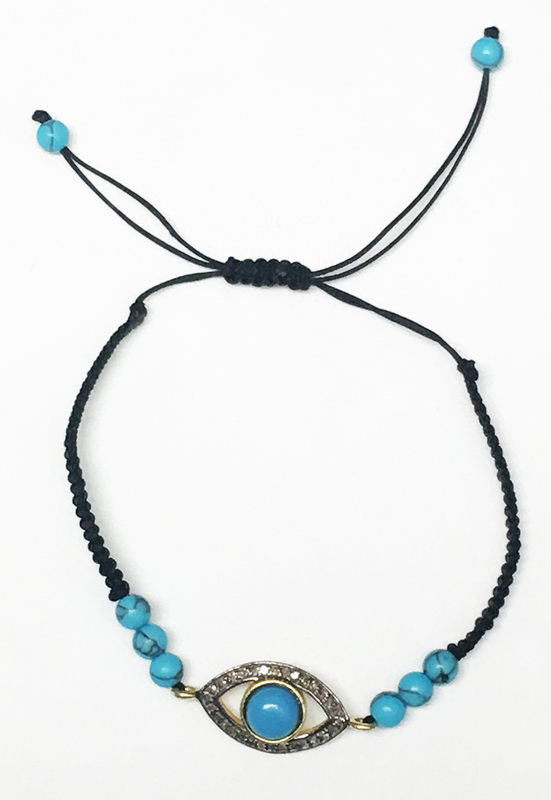 the charm size is 10 x 24mm with 6 plus 2 turquoise beads and thin box knot chord closure. 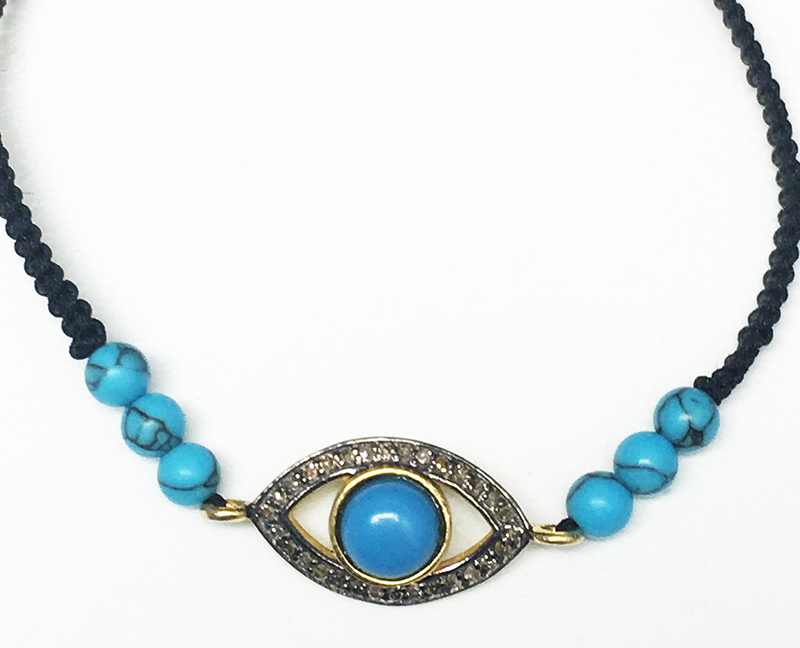 The evil eye is traditionally believed to protect its wearer from harmful energy and negativity. 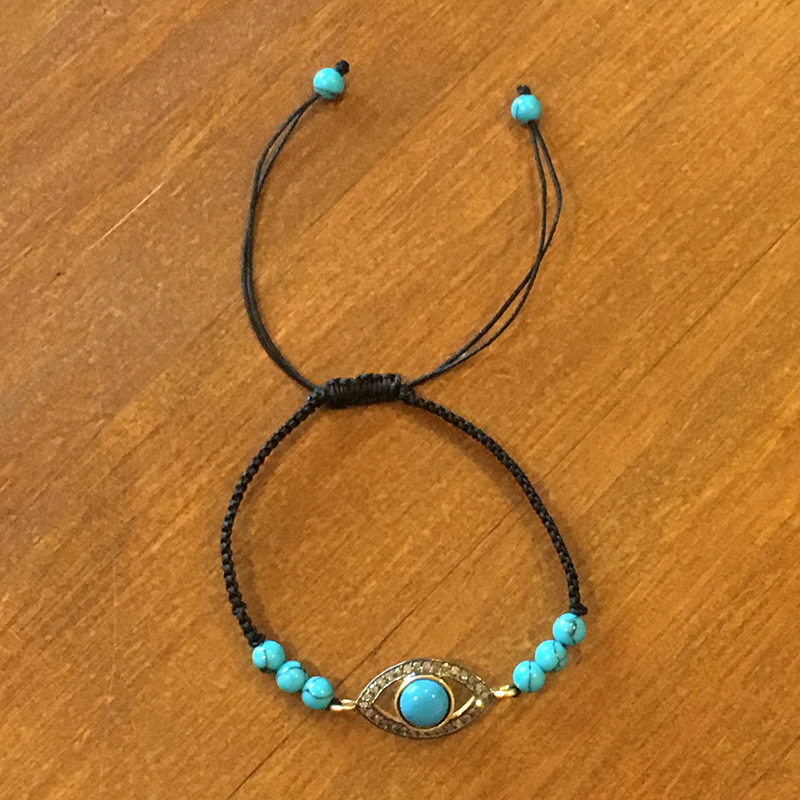 Currently sold out so if you order it, it will take up to 4 weeks to ship this bracelet. Thanks! The listing price is for 1 bracelet, but you can stack different ones together. Go ahead, breath and feel the protection! Shipped USPS Priority or First Class. Please allow 3-4 weeks to create your piece. My daughter loves this beautiful piece – she was very happy to receive it! Quality stones and excellent design. 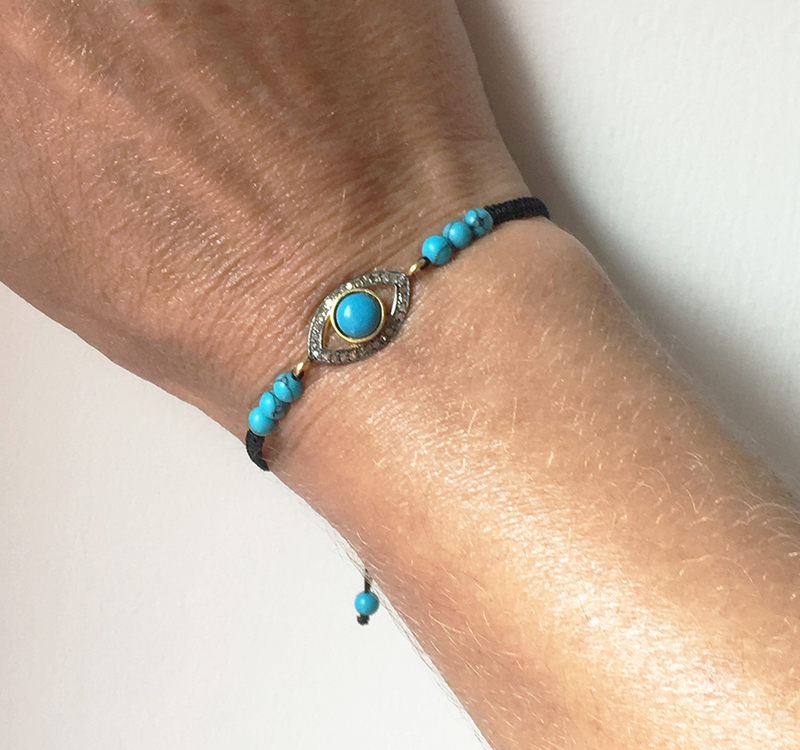 Charming bracelet with very nice turquoise coloring. Makes a great gift, my friend absolutely loves it.